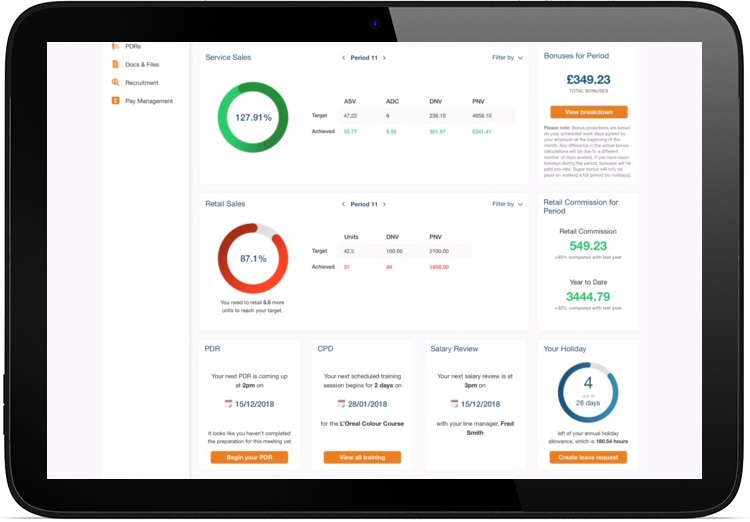 Our Employee Dashboard puts the right information at your team’s fingertips. Instant real-time access to vital information from anywhere – in your salon, at home, on the phone – the choice is theirs. On day one a new employee sets up their personal profile on Loop HR, immediately connects to your hair or beauty business and feels part of your team. As they make holiday requests, report sickness and absence or request and record training their personal profile grows with them. Their profile lets them check their bonuses and commissions, track remaining holiday allowances and view their absence record, sales targets and performance benchmarks as well as their work rotas and schedules. Instantly accessible sales figures ensure employees understand what is needed to achieve their targets and boost commission, resulting in greater accountability. Having the right stats instantly to hand ensures managers have the tools they need to improve your team’s performance. Set targets, track performance, motivate your team and accelerate sales. Commission and bonus earned in current period. Workforce experience matters – 92% of employees said ‘positive workforce experiences’ matter the most to them. Our centralised online system and calendar makes booking holidays fast and easy for your hair and beauty team, and eliminates potential date clashes and misunderstandings. 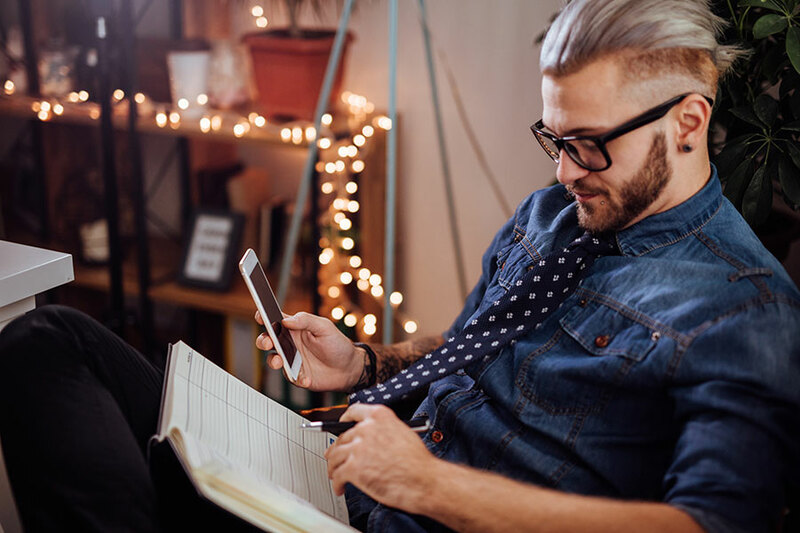 Automatic holiday allowance calculations ensure your team know exactly where they stand and a central team calendar means everyone knows who is on leave, and when. View all approved holiday days for team (calendar format). Check current year holiday allowance (snapshot + detail). See approved holiday days/hours not yet taken. Track personal holiday requests in progress (not yet approved). Asking for absence or notifying sickness can be a stressful situation for employees so they delay informing managers which causes last minute disruption and scheduling headaches. 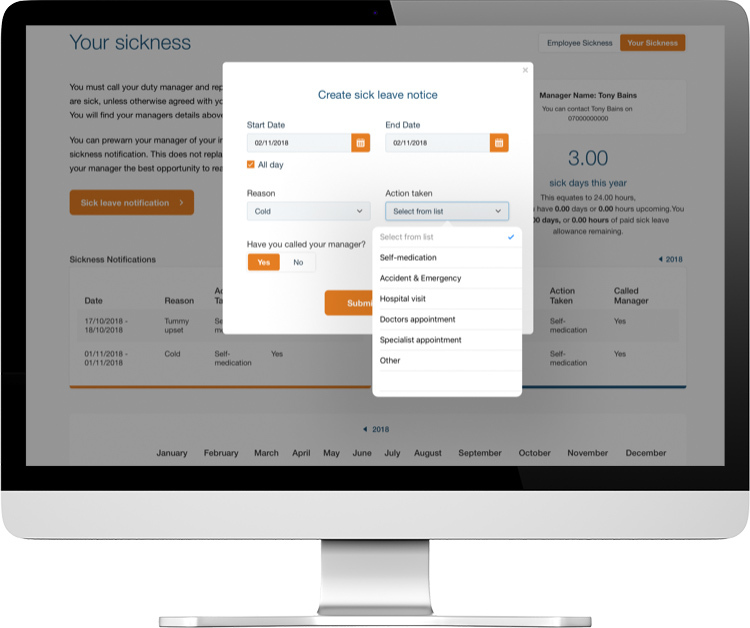 With Loop HR employees can create an automated sickness or absence message (with notifications instantly or days ahead) leading to more prompt and transparent employee/manager communications. Your employee sees a record of all their incidents making them aware of the number of times they have been absent. Does your team lose valuable working time checking schedules, requesting changes or forgetting shifts? Our centralised system keeps staff fully informed, up to date and onboard so they can focus on your clients and your hair or beauty business. View their personal work schedule. Get instant notifications on scheduling updates and changes. 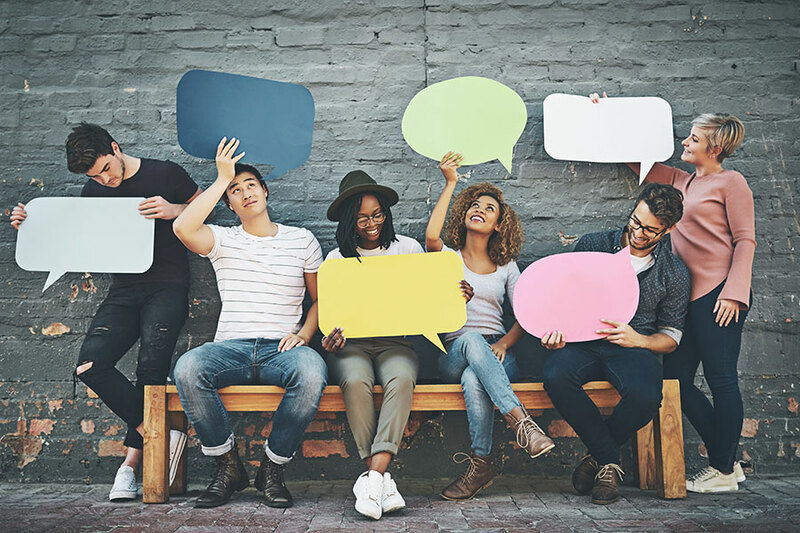 Studies found that highly engaged employees were 87% more likely to stay with their companies than their disengaged counterparts. Education and training are essential to motivating and retaining your workforce. 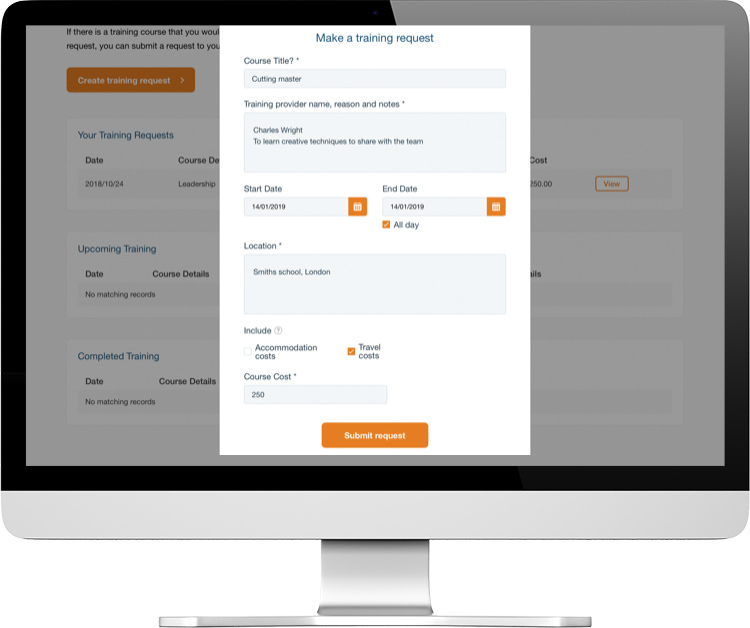 Our interactive process is easy to use and enables individuals to track their personal development and progress as well send training requests to their salon or clinic manager. Cost of training (if known). If approved the employee is asked to agree to any T&Cs. Manager receives alert confirming T&Cs agreed. Employee receives alert that training is booked. Employee confirms they have the dates and all they need for training. Once complete, the employee uploads their certificate to their profile. The system automatically creates a record of the personal development activities and the investment. Managers can see a report of all activities for the year, individually, by team or for the whole company. Teams need constant nurturing, and instant easy communication is key to happy, engaged and motivated employees. 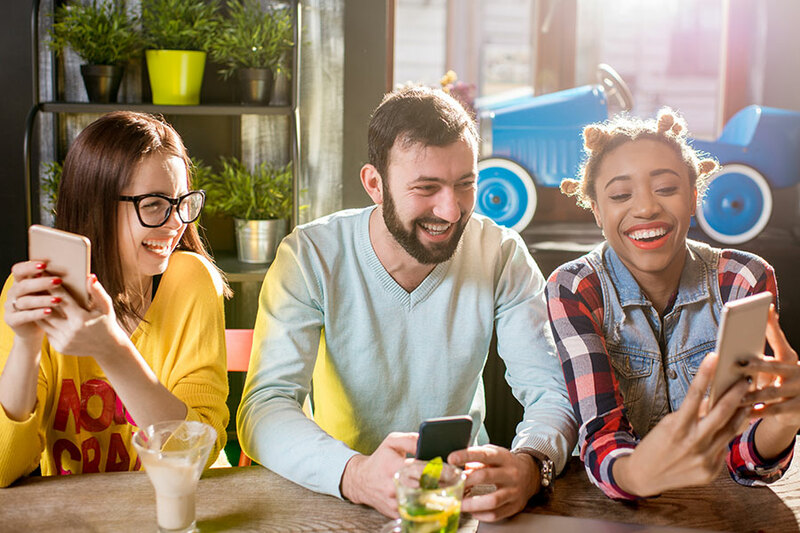 Loop HR’s messaging system lets you stay in touch with your team from any location at any time – whether you’re commuting to work or sitting on the beach. Instant communication between managers and individuals. Broadcast messages to all the team.